OverviewA sci-fi adventure game for the NES, published by Namco. It was never released outside of Japan. Now you can add videos, screenshots, or other images (cover scans, disc scans, etc.) 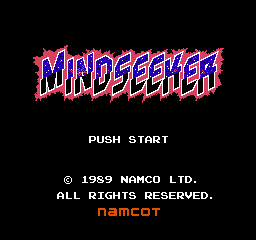 for Mindseeker (Japan) to Emuparadise. Do it now!